PTFE baking sheet , Set of 2 in a Pack Nonstick Reusable Portable PTFE Fiberglass Fabric , made from PTFE and fiberglass fabric, it takes the advantage of the non stick and heat resistance of PTFE with the strength and dimensional stability of fiberglass. 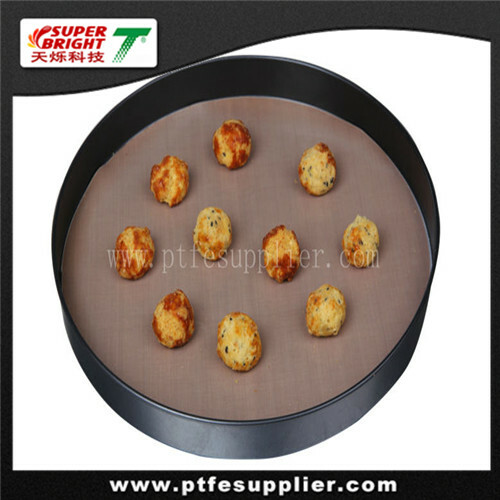 Non stick, reusable, heat resistance, easy clean, all this incredible features made our Non stick cuttings type PTFE baking sheet become an indispensable kitchen accessories for food cooking and baking. With this magic products you can save time to clean your equipment and since the mat is non stick so you don’t need to brush the food with oil which turns your dinner into a healthy meal with low oil and grease. No mess, low oil, green, eco-friend, healthy life and an energy day. These are the main purpose that we want to share with your friends and families.